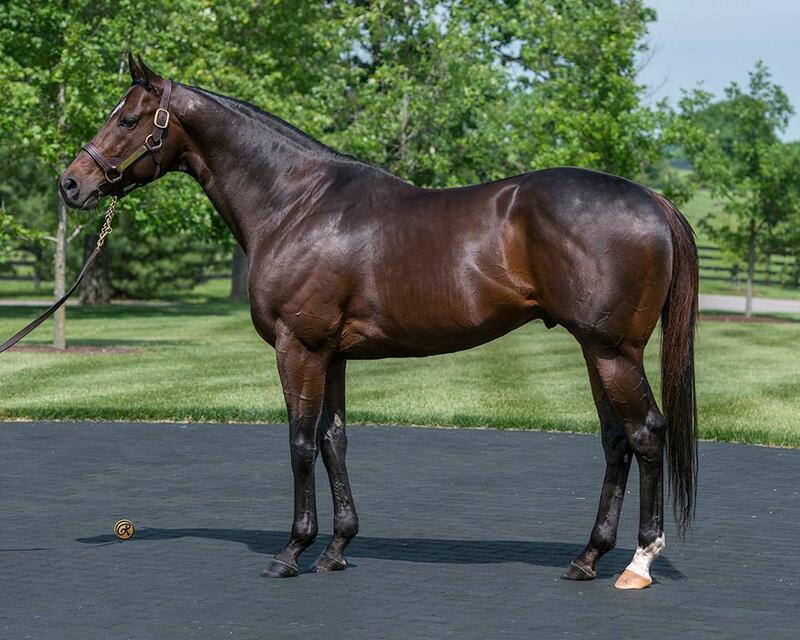 Multiple Graded stakes winner, multiple NTR-setter, multiple Grade 1 performer Fed Biz has gi-normous potential. Classic balance. Impressive muscling. Nearly a flawless conformation. Impressively sound, incredible balance. And one of the best shoulders I've ever seen. BR: Marcuzzi Thoroughbreds Inc Lemon Drop Kid C: Rosilyn Polan, agent; Marcuzzi Thoroughbreds Inc.
BR: SF Racing Group Inc Southern Halo C: Equest Thoroughbreds; Equest Thoroughbreds, Inc.
KEENOV 2017 3614 M Spine Tingling Mrs. K.